Notes: CMP. 1 Armd Div Pro Coy. 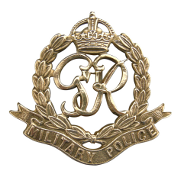 Enlisted in the Royal Armoured Corps, transferred to CMP. 5/9/44 Died. He was born in Norfolk and resided in Ipswich. Unit shown as 1 Infantry Division in CWGC roll. War Diary 1 Armd Div Pro Coy, WO 170/405. 4/5 Coy HQ moved to Morciano, heavy shelling at 19.30 hrs, 1 nco killed (L/Cpl Green) 4 wounded. Inscription on gravestone: My dear husband at the going down of the sun and in the morning we will remember him. 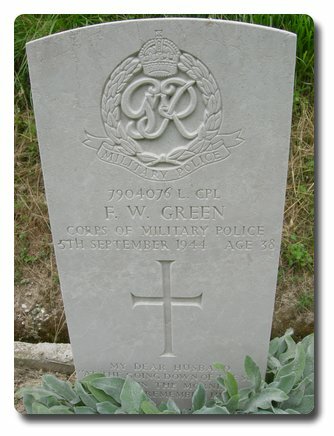 Frederick William Green.